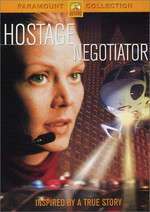 On the job, top FBI hostage negotiator Theresa Foley (Gail O'Grady) is a tough, no-nonsense professional...calm and cool in the face of risky, potentially deadly situations. At home, she's a loving mother, with two kids and a devoted husband, Frank (Michael Bowen), a fellow FBI agent. But her idyllic home life is shattered when a three-time loser she took down in a failed bank heist escapes from jail and vows revenge. Frank - is becoming increasingly irrational and distant after losing his job with the bureau. Theresa's former partner Danny McBaine (Brian Bloom) is seemingly the one relief valve in her ever-spiraling predicament. But can Danny help protect her from the madman who is stalking her - or will his presence only serve to inflame her husband's simmering paranoia and growing suspicions? The explosive climax threatens to sweep Theresa, her family, her life and her skills as a Hostage Negotiator to the very brink of terror in this edge-of-the-seat thriller!